Whew! It’s been quite a year for all of us over at SmileySharing.com. Michael has been working hard as a rideshare driver and graduate student at UMSL, and Rebecca has been plowing away at completing her coursework at STLCC so that she can get her CCA and start working full-time as a medical coder. All work and no play makes even the happiest Smiley sad, though, and it’s the same way for Michael and Rebecca. When they have time, Michael and Rebecca enjoy playing video games and tabletop games. Rebecca is a HUGE Nintendo fan and has many of their consoles and handheld devices. She still loves playing on her older consoles when she can, and an incident involving her N64 not working led her to discover Arch City Gaming Company. Arch City Gaming Company is a business owned and operated by our fellow Saint Ann resident Mike Duda. Arch City got its start selling, refurbishing, diagnosing, and repairing old-school consoles and handheld gaming devices, as well as selling games. To provide customers with even more ways to enjoy their vintage games, they started selling Retron consoles, which can use cartridges from various gaming systems (different models can play different cartridges). Over time, Arch City expanded into selling gaming and pop culture-related clothing and accessories, and several months ago, they started selling board games. In addition to great inventory, Arch City Gaming Company offers specials on their board games every week, which they share on their Facebook page. They also recently opened up a room in their store where you can try our their wide selection of board games for free! And if there’s a board game you want that they don’t have, they can order it through a local distributor. On top of that Arch City offers a program that gives you an additional discount if you bring in a filled-in Arch City Gaming Company card (or cards, if you forget to bring your card back like Rebecca does). You get squares on the back of the card filled in, and the number of squares filled in depends on the amount of your purchase. If you’re looking for new board games at a great price, or if you want vintage games or gaming systems or need a gaming system repaired, Arch City has you covered. 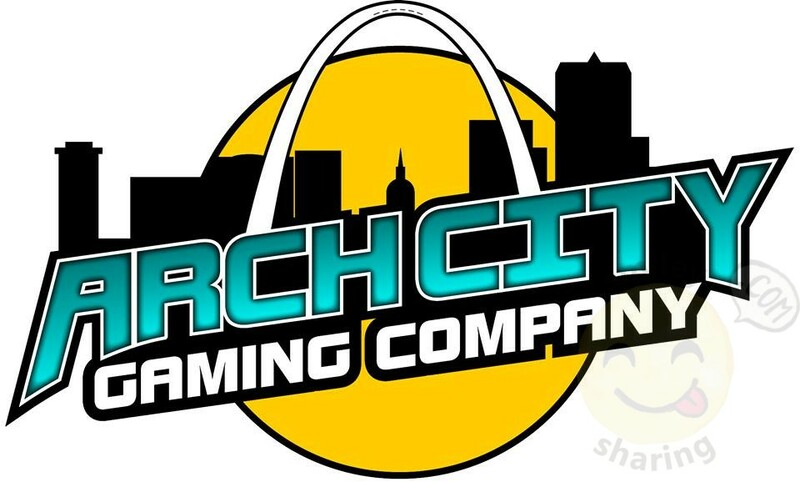 We appreciate Arch City Gaming Company and enjoy supporting this local business! ← And now, a PowerPoint!